Peak seven. 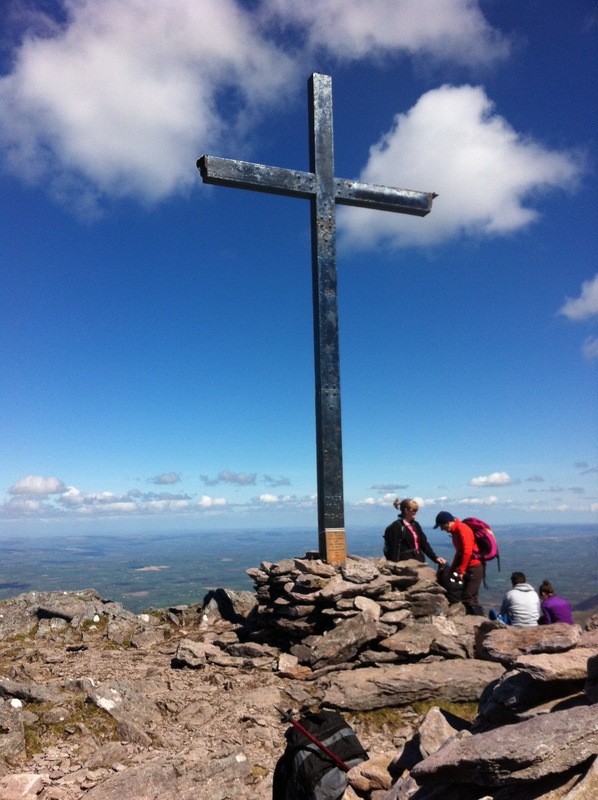 The highest point in Ireland, Carrauntoohil. Peaked! This was the first real challenge when it comes to this whole scaling peaks plan. I had originally understood that, with the exception of 4-5 major, technical ascents, most of the EU peaks were basically long hikes. 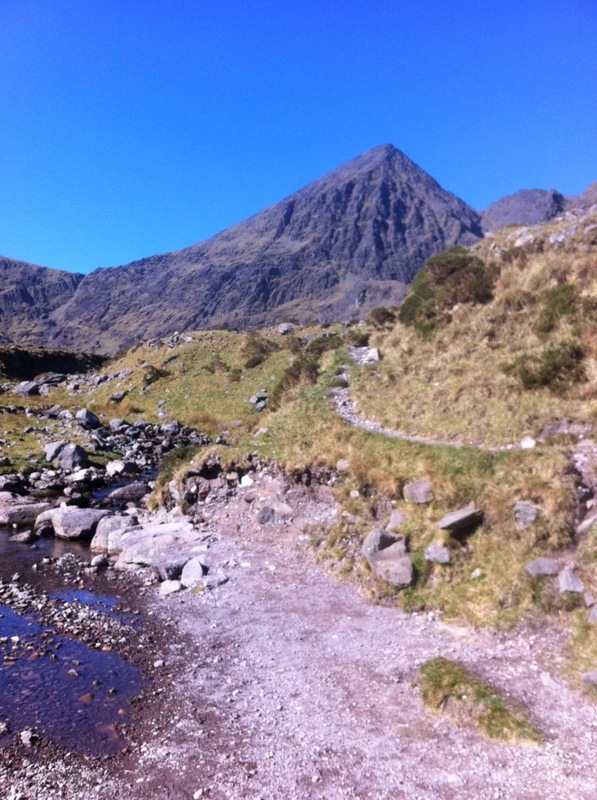 On this day, my interepid companion Raph and I discovered there was more to Carrauntoohil than a long ramble in the country – maybe not to even more fearsome explorers, but certainly for us this was a challenge, mentally and physically. 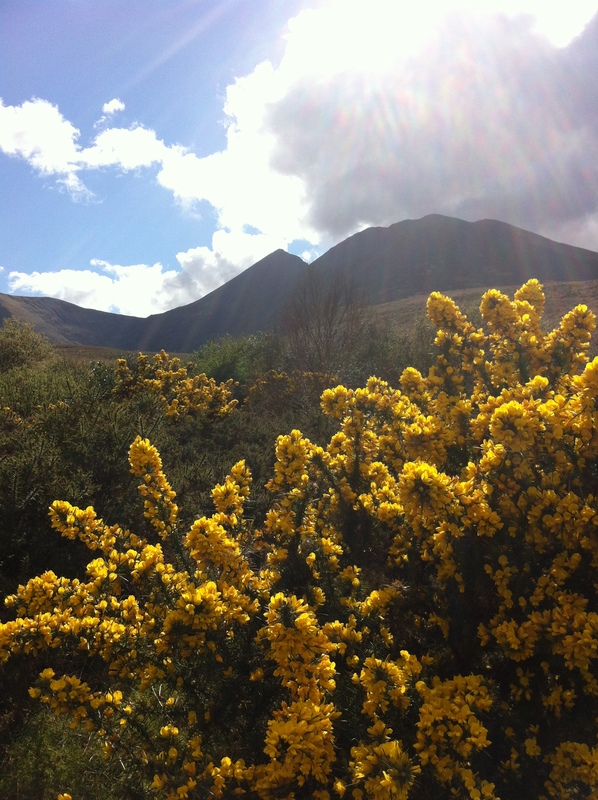 When it comes to the weather, we had struck gold, it was an amazing, clear day with blue skies and warm sun. We enlisted a guide, and was expecting to ascend the well trodden Devil’s Ladder route up, then the mule path zig-zagging down. 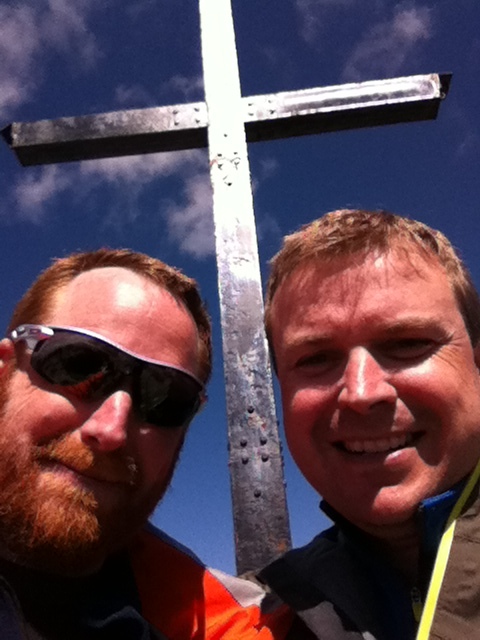 Given the excellent conditions, the guide determined it was for the best that we take the more challenging Brother O’Shea’s Gulley route to the summit. Now, I’m no mountain goat, but this route was a corker, and certainly had us feeling at times like we were gripping on to precipitous ledges and falls-to-certain-death during the day – not what we’d signed up for. This might not have reflected the truth, but it’s certainly how it seemed to us noobs. It was with great relief that we reached the summit, enjoyed lunch in good company, then began the long hike back, across the ridge and down the mule path. The tea and scones back at the Cronins Yard car park were fantastic. Just what we needed, as our knuckles returned to the handsome pink that we knew and loved. Long day, hard work, adrenaline for all, but very very satisfying. Looking back on what we did.